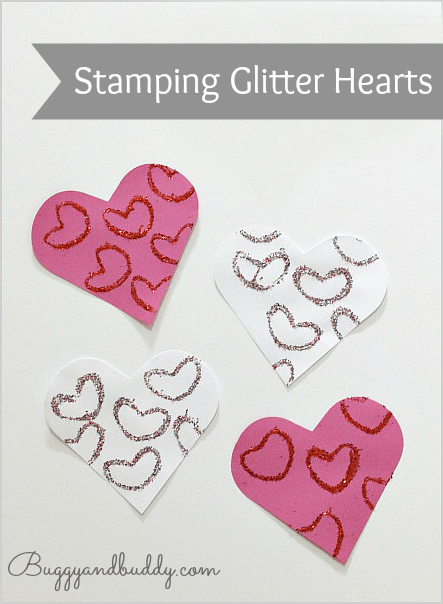 Here’s an easy valentine’s day craft for kids– stamping glitter hearts with a cardboard tube! 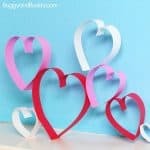 They’re super simple to make and can be used to decorate just about anything- even homemade valentines! 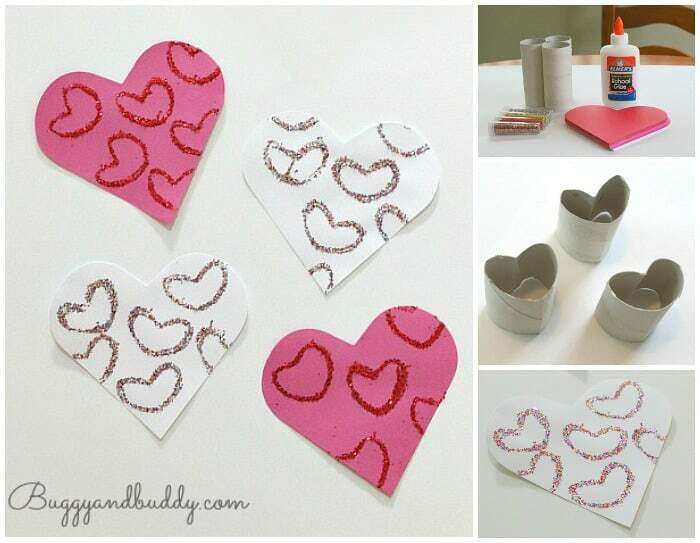 This is a fun and easy Valentine’s Day craft! 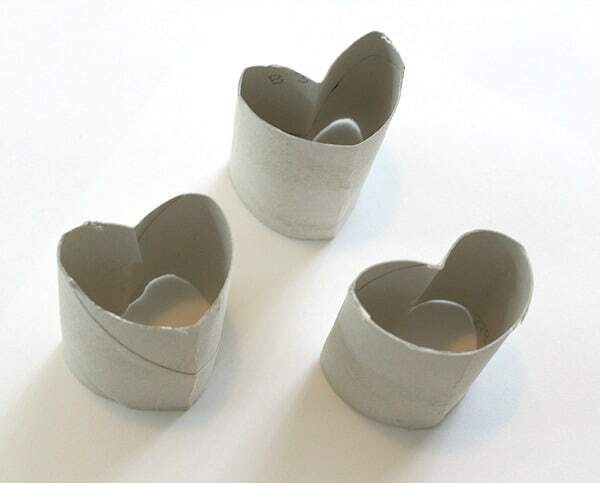 First, get your cardboard tube and press it into a heart shape. This will be your stamp! 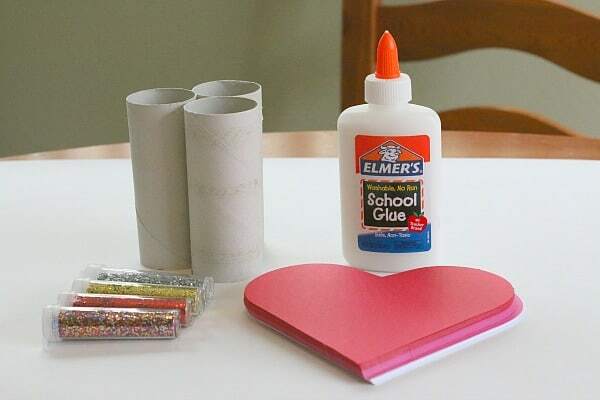 Get your glue ready by squeezing some into a container. 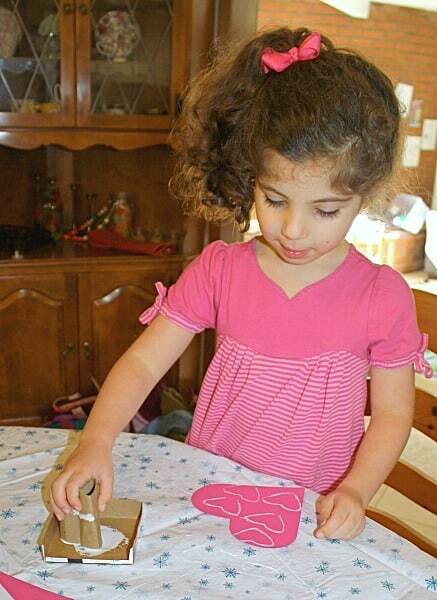 Dip your cardboard tube into the glue and stamp it onto your paper. 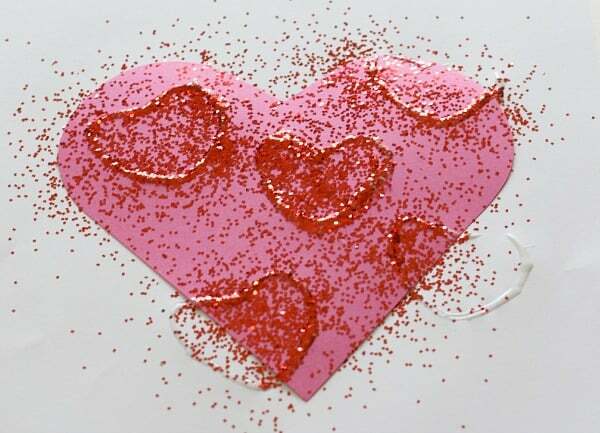 Sprinkle the glue liberally with glitter. 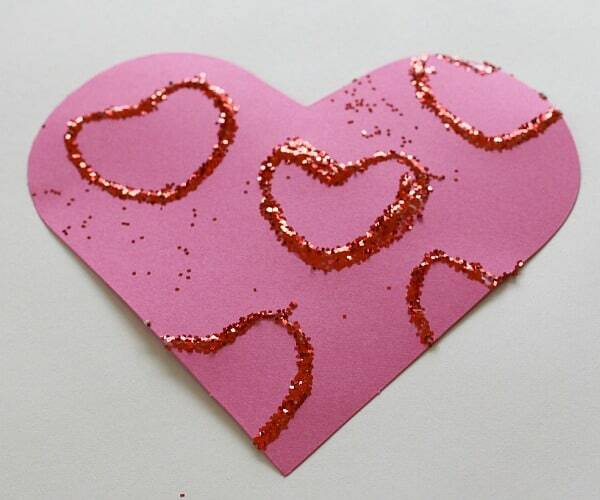 Shake of the excess and voila- beautiful glitter hearts! 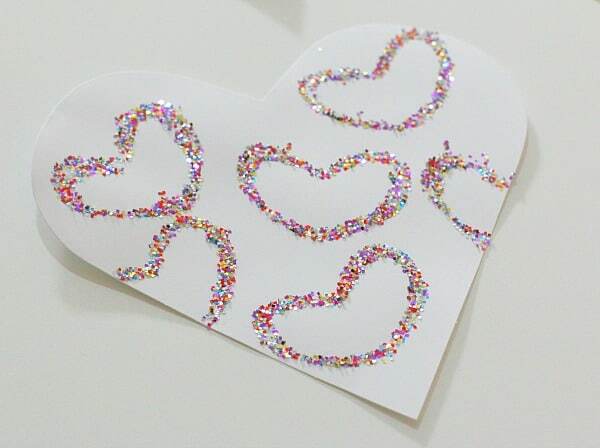 You can used these glitter hearts to make beautiful wall art or even to decorate valentines! 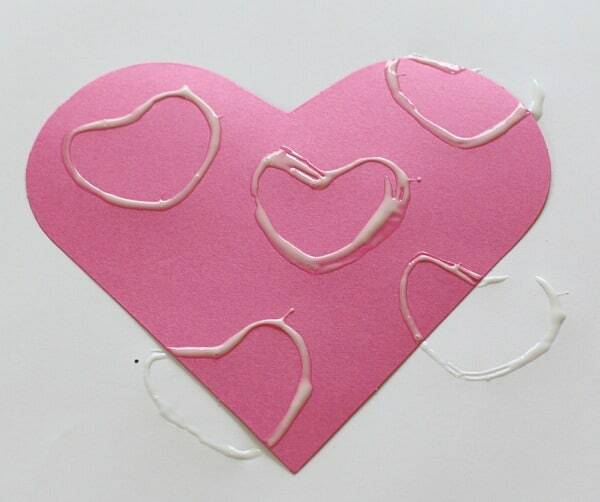 Tip: Toddlers can take part in this Valentine’s Day craft too! 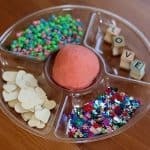 My 2 year old LOVED sprinkling the glitter onto the glue! 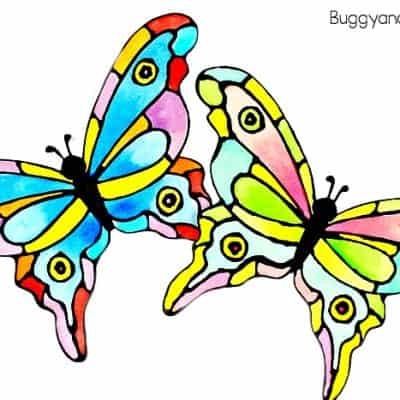 Very cute, and so simple too! 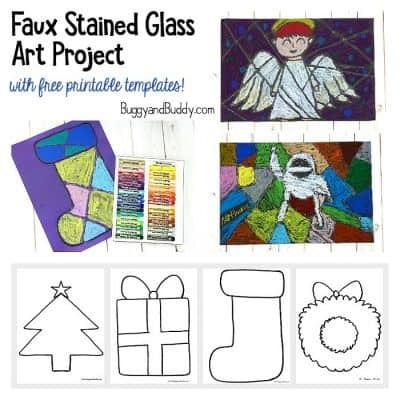 My kids would enjoy this I’m sure! Thank you, Katie. Lucy loved it, especially the glitter of course! 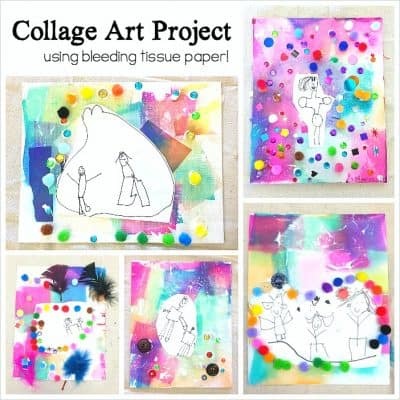 This is such a great idea, and free to make the heart stamps too! Thanks for sharing! Very cute! I pinned this for my daughter. She’ll love doing this after nap time today! Glitter makes everything more fun doesn’t it? You daughter reminds me a lot of one of my girls. Just pinned this! Thanks, Vicky! 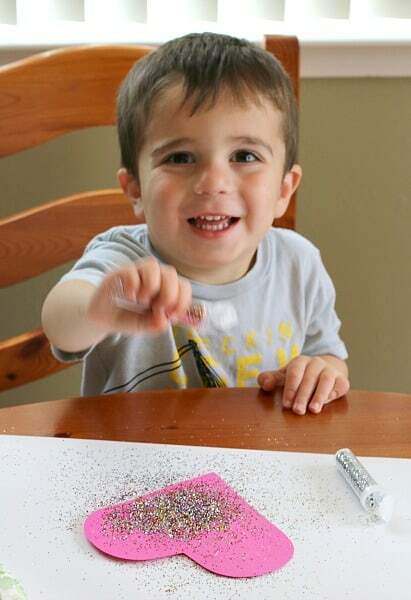 And, yes, I agree, glitter does make everything more fun and sparkly! 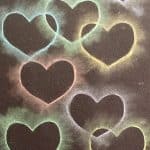 Thanks for linking up with Sharing Saturday! 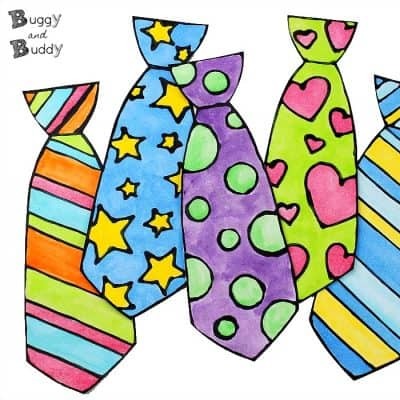 This is so darling, I just love it! 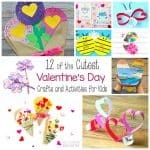 I have pinned it onto my February themed Pinterest Board and may just have to create something similar with my daughter. 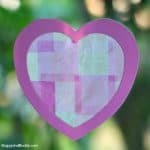 Thank you for linking up to the brand new Hearts for Home Blog Hop! So cute!! 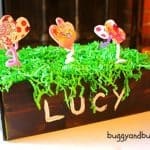 🙂 My daughters will love this! Oh, I love these. 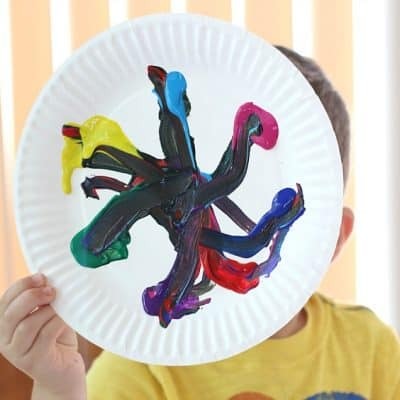 We are definitely going to have to try this! Thank you for sharing at Sharing Saturday! !